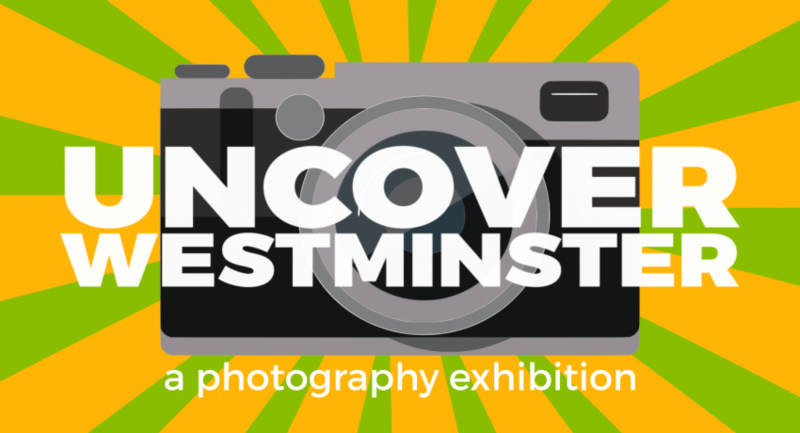 Please find below the Terms and Conditions for participation in WBAF’s Uncover Westminster photography Exhibition. The use of the term ‘Exhibition’ relates to the whole event process – from submission of entries, shortlisting and the physical Exhibitions themselves. Photographic submissions must be made using either or both of the two themes we have selected: “A day in the life” or “A Borough of contrasts” . The shortlisted entries, of an unlimited number, will then be exhibited at various venues throughout the Borough during the course of the year. The closing date for submissions is 23:59 on 31 May 2019. All entries must be received by this time. The Exhibition is open to all photographers (both amateur and professional) and of all ages. Children under 16 must have their entries submitted by their school or by an adult on their behalf. Entrants may make multiple submissions, but only one can be shortlisted from any single entrant. Entries must not be sent through agencies or third parties other than responsible adult/school submissions on behalf of children. Entries are not allowed from employees or volunteers of WBAF, their families, or anyone else associated with the Exhibition. Westminster Befriend a Family (WBAF) will create a shortlist of submissions from those available on the closing date. Shortlisted entrants must provide high resolution image when requested in order to be considered for the Exhibition. Entrants are responsible for the cost (if any) of sending their submission to us. Entrants are responsible for all costs (if any) associated with their submission in any way. Late, illegible, incomplete, defaced or corrupt submissions will not be accepted. Submissions not accompanied by the prescribed hashtags and Instagram account will not the considered. Entrants are not permitted to submit images that have won any prizes, or other recognition, in any competitions run worldwide, or that have otherwise received commercial recognition or previously been published in any format anywhere in the world. All entries must adhere to all Instagram’s rules as applicable. By making submissions to the Exhibition the Entrant agrees to maintain the highest standards in all matters relating to the Exhibition and not to do or say anything that does not or might damage the reputation of WBAF, the other entrants, or any supporters or sponsors of the Exhibition and WBAF. Entrants must warrant that the photograph they are submitting is their own work and that they own the copyright for it. If an adult or school is making the submission on behalf of a child, this must be made clear. The person making the submission accepts responsibility for all of these Terms and conditions on behalf of the child. Entrants confirm that each individual whose image is featured in the submission has given consent for the use of his/her image in connection with this Exhibition and in accordance with these Terms and Conditions. Where an individual whose image is featured in a submission is aged less than 18 years the entrant confirms that the parent or guardian of that individual has given the relevant consent. Submissions must not be copied, must not contain any third-party materials and/or content that Entrants do not have permission to use, must not include any trademarks, and must not show inappropriate or dangerous behaviour, or otherwise be obscene, defamatory, distasteful, offensive, or in breach of any applicable law or regulation, or in breach of any confidentiality obligations owed by Entrants to third parties. If there is reason to believe an entry is not the Entrant’s own work or otherwise breaches these Terms and Conditions, then WBAF may not consider it and may disqualify it from shortlisting. The right to use their name, country and county/state/city of residence for the sole purpose of identifying Entrants as the author of their entry and/or as a participant in the Exhibition. The Entrant consents to the use by WBAF, both before and after the closing date of the Exhibition for an unlimited time, of the Entrant’s voice, image, photograph, name and county/city of residence for publicity purposes (in any medium, including still photographs and films, and on the internet, including any websites hosted by WBAF) and in advertising, marketing or promotional material without any compensation whatsoever or prior notice and, in entering the Exhibition, all entrants consent to the same. Entrants hereby waive all their moral rights in their entry. In order to use entries as intended and advised in these Terms and Conditions WBAF may need to modify entries, including but not limited to resizing, cropping or colour adjustment as necessary, provided that WBAF shall endeavour in undertaking such modifications to maintain the integrity of the entry as originally created. WBAF shall provide a picture credit for all entries wherever possible. By submitting an entry for the Exhibition, Entrants agree to the collection, retention, usage and distribution of Entrants’ personal information in order to process and contact Entrants about their submission and for the purposes outlined in these Terms and Conditions. WBAF may pass entrants’ details to third parties and/or otherwise engage third party providers in connection with this Exhibition where the third party is acting on WBAF’s behalf for the purposes of administering this Exhibition and/or any subsequent publicity, and/or for the purposes of sending Entrants WBAF’s marketing materials; and/or as otherwise required by law. Shortlisted entrants will be contacted by WBAF throughout the Exhibition period and asked to provide a high resolution copy of their entry along with other details, including contact details. Where these are not provided, the Entrant will be removed from the shortlist. Shortlisted entries may be displayed at the offices of WBAF, across WBAF’s online channels and/or at one or more of the planned Exhibitions. Submissions can be used at WBAF’s sole discretion, at a later date. WBAF accepts no responsibility for any damage, loss, liabilities, injury or disappointment incurred or suffered by Entrants as a result of entering the Exhibition. No responsibility can be accepted for lost, delayed, misdirected or incomplete entries and proof of electronic submission will not be proof of receipt by WBAF. No responsibility will be taken for technical or other difficulties preventing entries from being submitted or shortlisted at any time, including, but not restricted to, website downtime, Instagram problems, submitting with the wrong hashtag, not being able to be contacted if shortlisted, etc. WBAF further disclaims liability for any injury or damage to Entrants or any other person’s computer relating to or resulting from participation in or downloading any materials in connection with the Exhibition. Nothing in these Terms and Conditions shall exclude the liability of WBAF for death, personal injury, fraud or fraudulent misrepresentation as a result of its negligence. All information detailing how to enter this Exhibition forms part of these Terms and Conditions. It is a condition of entry that all rules are accepted as final and that the Entrant agrees to abide by these rules. Submission of an entry, by posting a photo on Instagram using the prescribed hashtag, will be taken to mean acceptance of these Terms and Conditions. If any part of these Terms and Conditions is unenforceable (including any provision in which we exclude our liability to Entrants) the enforceability of any other part of these Terms and Conditions conditions will not be affected. WBAF shall not be liable for any failure to comply with its’ obligations relating to this Exhibition where the failure is caused by something outside its reasonable control. Such circumstances shall include, but not be limited to, weather conditions, fire, flood, hurricane, strike, industrial dispute, war, hostilities, political unrest, riots, civil commotion, inevitable accidents, supervening legislation or any other circumstances amounting to force majeure. WBAF reserves the right at any time and from time to time to alter the closing date of the Exhibition, modify or discontinue, temporarily or permanently, this Exhibition with or without prior notice and for any reason whatsoever. The decision of WBAF in all matters relating to the Exhibition is final and binding and no correspondence will be entered into. WBAF reserves the right to be able to alter these Terms & Conditions at any time without providing notice or reason. The Exhibition and these Terms and Conditions will be governed by English law and Entrants to the Exhibition submit to the exclusive jurisdiction of the English courts. The Promoter of the Exhibition is WBAF whose address is 18 Buckingham Palace Road, London SW1W 0QP. Any complaints regarding the Exhibition should be sent to this address.